Al’s Place is excited to be hosting Burton and the Blues for the first time on Saturday 16 March. 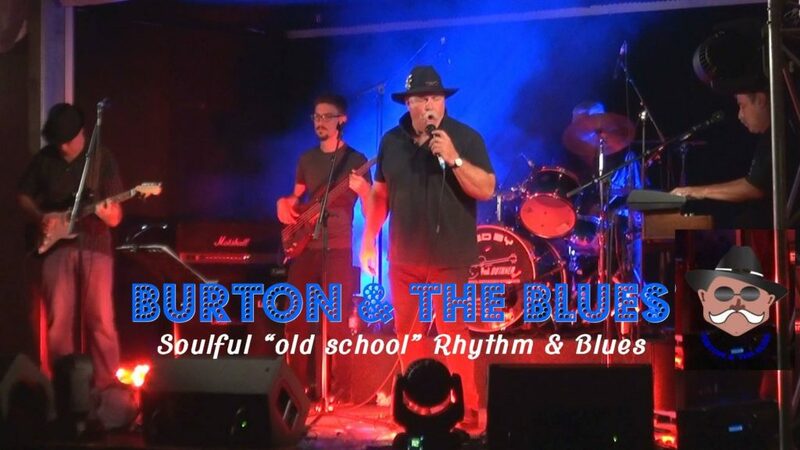 Burton & The Blues is a 5-piece soul/blues band featuring the considerable vocal talents of front man Graham Burton who has been a regular performer on the Cape Town jazz scene. He is equally at home in the soul and blues genres and has recently launched his own blues band. The band focuses more on soulful blues material, rather than the blues-rock catalogue favoured by many blues bands. But make no mistake … this band can rock with the best of them! Graham’s backing band comprises of Rael Yudelman (keyboards), Robert van Blerck (guitar), Casey O’Donnell (bass guitar) and Brian O’Donnell (drums). Between them the musicians have many years’ experience gigging around Cape Town. Their blues, soul and rhythm & blues repertoire covers standards such as Little Red Rooster, Texas Flood, Boom Boom, Dimples, Double Trouble, Need Your Love So Bad, Bring It On Home To Me, I Would Rather Go Blind, Stand By Me and Black Magic Woman, as well as many lesser known, but equally good, numbers. View videos and photos on their Facebook page here. Unfortunately we can’t do our full a la carte menu on event nights. We offer a special ‘Music Night Menu’. View menu.